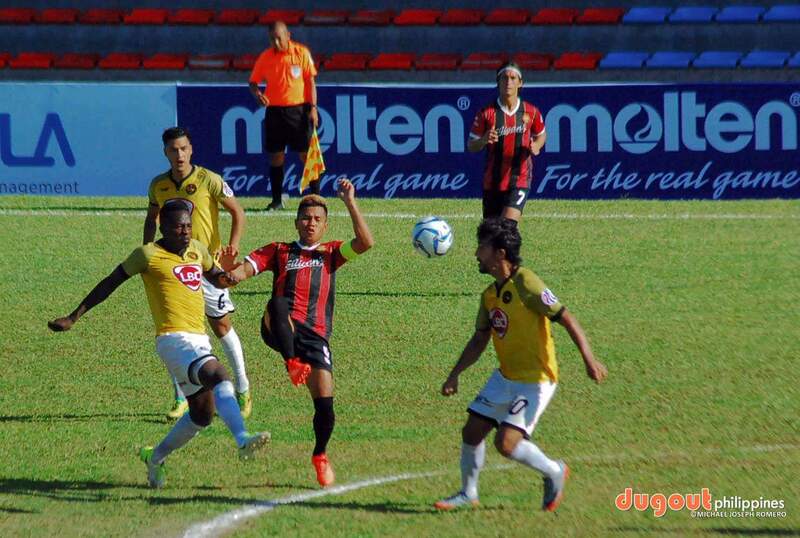 BIÑAN, Laguna -- Kaya Makati completed the shut out of Sabah after nipping them in a preseason friendly, 2-1 in Stallion's home pitch. After being battered by Global Cebu in Carmona two days ago, the Malaysian side are trying to end their week-long visit here with a semblance of respectability. However, Robert Lopez-Mendy pushed the PFL side ahead just seven minutes in only for Maxius Musa equalized midway into the first half to go level at the break. Miguel Tanton then fired a long-ranged shot with fifteen minutes left to pick up the win and send their visitors home empty-handed. Noel Marcaida fielded an experimental side for their first match in preparation for the second season of the PFL. "We take the win as a positive," he said after the match, as their side is just into their sixth session being together as a team. The former UFL Cup champs are also mulling to increase their acquisitions after Camelo Tacusalme, Connor Tacagni, and Ace Villanueva of the former Meralco Manila suited up for them as trialists.